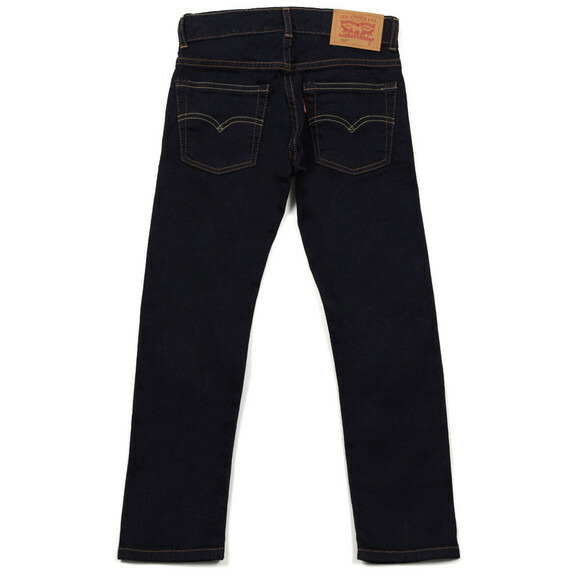 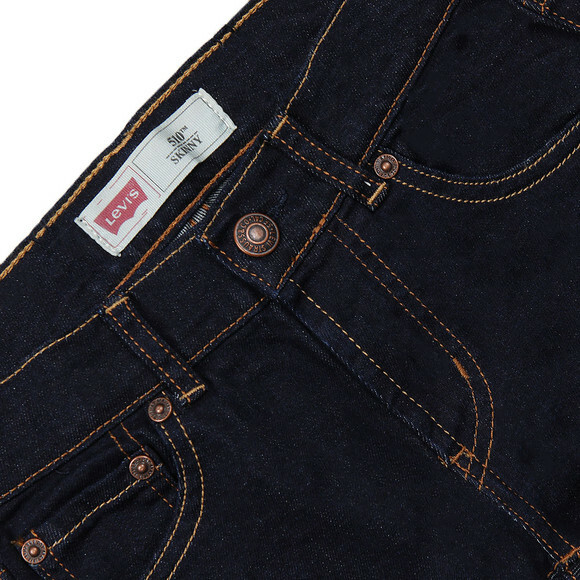 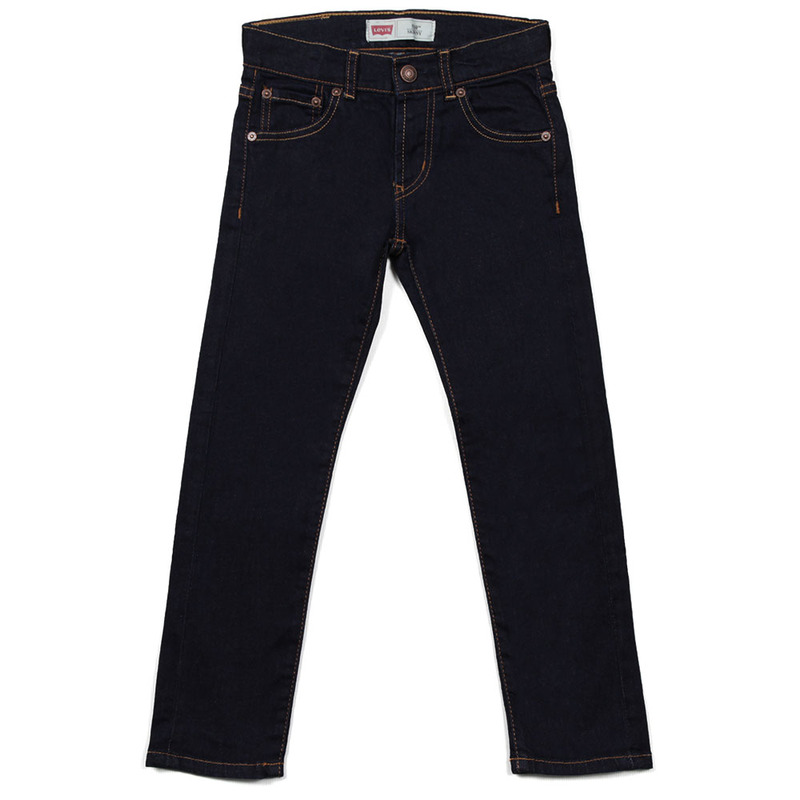 Levi Boys 510 Skinny Jeans in 'indigo' have been formed in a dark denim wash and show a contrasting golden stitch to the seam. The boy's skinny jeans have an adjustable waistband and sit below the waist. Finished with a red Levi tab to the back pocket.